All together with the rise of the web, and the development of the internet, there was the rise of the digital information age (or overload as some might say). Up until 2002 there was more analoge information available then digital, but since 2002 the digital information surpassed the analogue. 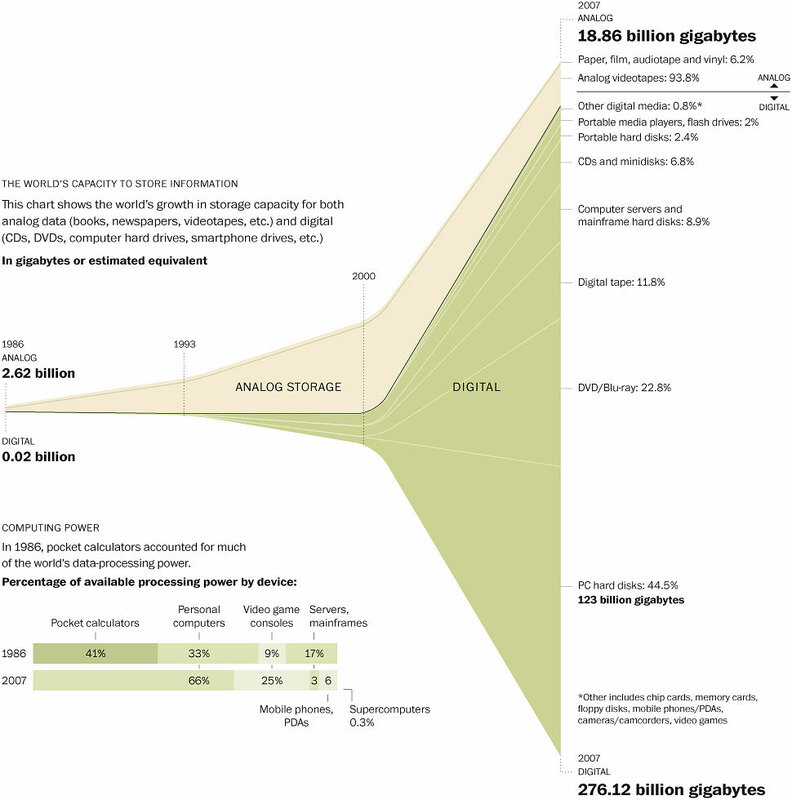 In 2007, 94% of the available information was digital. We can truly speak of a digital information multiplicator effect. What are the drivers of this information growth? It’s not the number of devices, this rises at a normal pace (we still own as much information devices as a few years ago). It’s the performance of the devices that play a key role in the high rise of the digital information era. This isn’t a complete surprise taken Moore’s law into account. 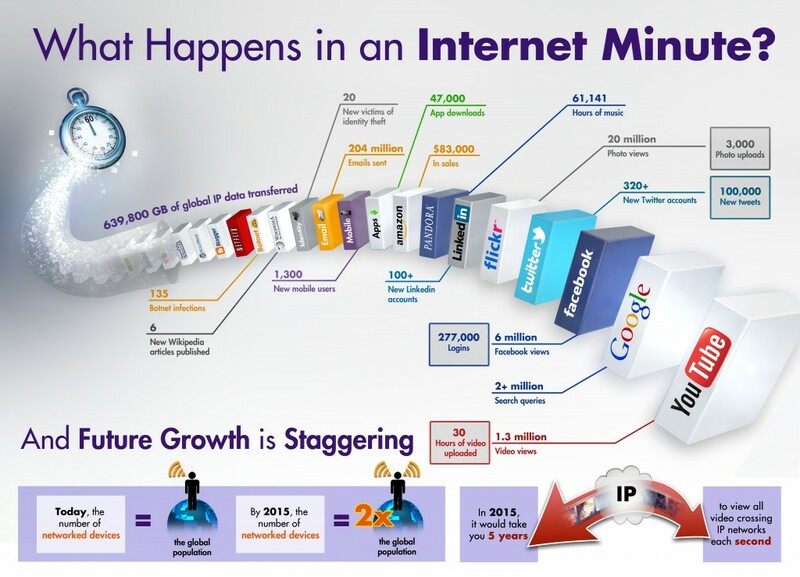 Some idea on how much data are created in one minute. DailyMotion – What Drives the global growth of information? I was actually quite shocked by the amount of movie material that is uploaded every minute on YouTube. A fact that I am definitely going to remember!